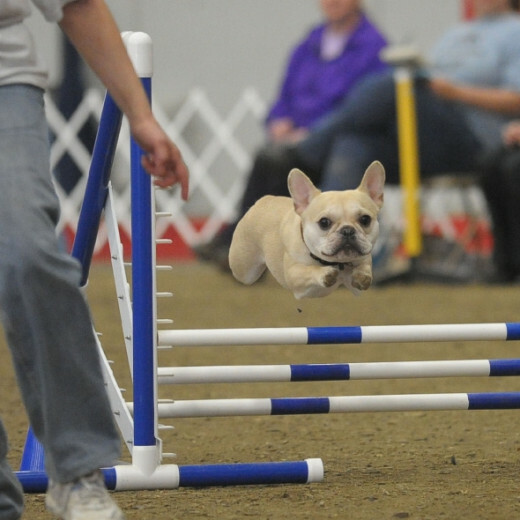 Agility is our hobby - and we love it! Agility is more than a hobby - it's a great way to spend time with your dog, doing something fun, being active, with terrific people. I wish it started later - just about every competition begins before 8 a.m. - Saturdays and Sundays. But it's worth it. There's a saying among "dog people" - A bad day at a dog show still beats a good day at work! And it's more than just the competitions, or "trials." Agility training gives me motivation to get up and go do something after work, rather than sitting around watching tv or playing on the computer. It helps me form a close bond with my dog - we've become a team. And it lets me get to know all kinds of people I wouldn't have met in "normal" life, people who do all kinds of things to earn a living, but all have one hobby in common: playing agility with their dogs! A little guidance is good - an introduction to the sport. 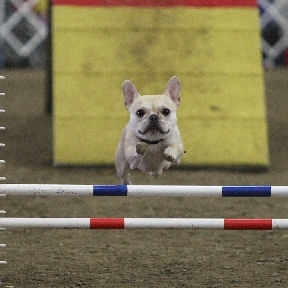 There are quite a few "governing bodies" for agility. I only play in the American Kennel Club (AKC) venue - mostly because I'm most familiar with the rules and obstacles. 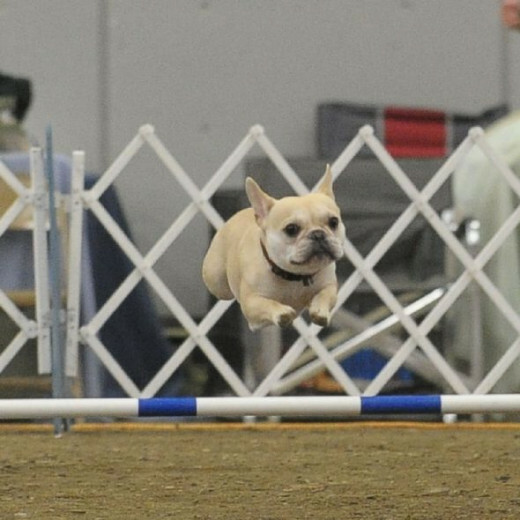 And because there are quite a few AKC agility trials in my area. I do know people who compete in the others - and have a wonderful time with their dogs! 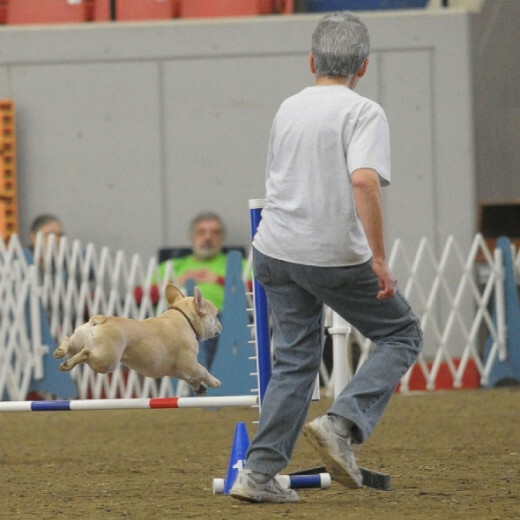 Home page of AKC agility, with all the information you need to get started. Lots of people I know play in USDAA and love it. Agility just for the "little" guys! The North American Dog Agility Council (NADAC) was formed in 1993 to provide North American dogs and their handlers with a fast, safe and enjoyable form of the sport of dog agility. Teddy's very first agility trial! 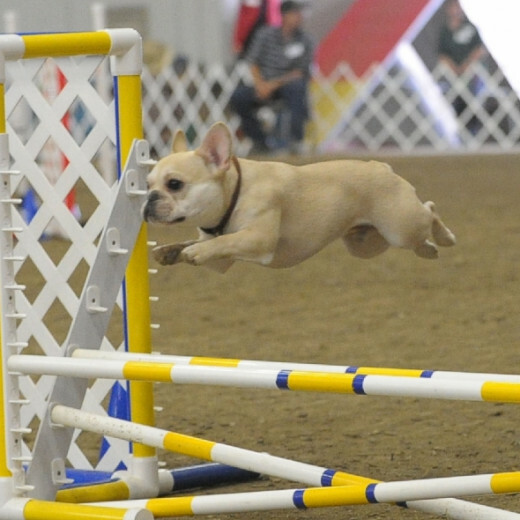 In AKC agility, dogs are allowed to start competing when they reach 16 months old. This was Teddy's very first competition. I was (and still am) so proud of him! Teddy and me at the start line. 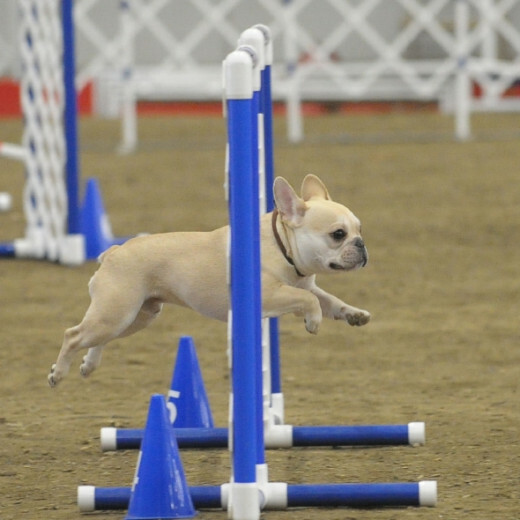 Before you ever get "on the line" in agility competition, both you and your dog will need a lot of training. 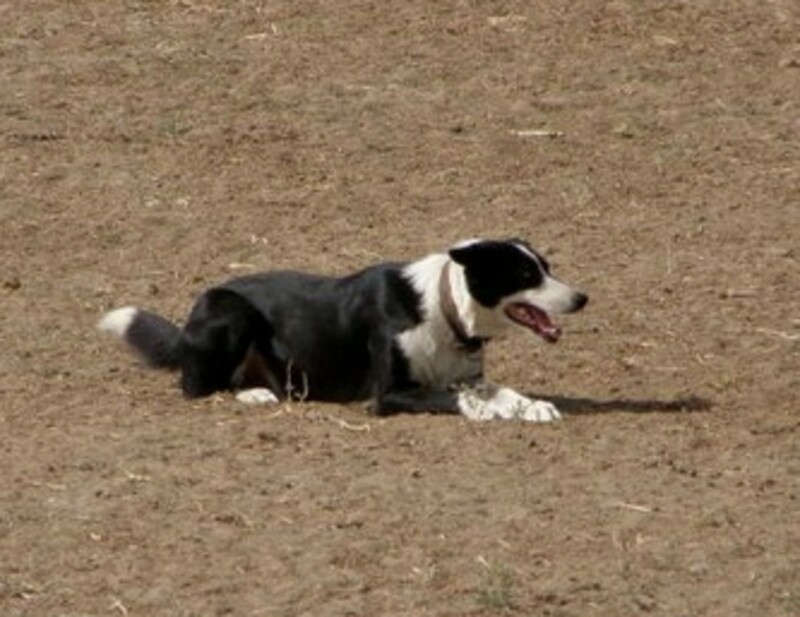 I'm lucky to have terrific classes at All Fours Dog Training and a wonderful, accomplished instructor. 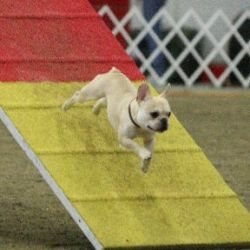 Your dog has to learn how to perform all the obstacles safely and efficiently. And, unlike jumping, some of them aren't really "instinctive" for the dog - particularly weave poles. That's a set of 6 or 12 poles, set 24 inches apart, that the dog has to "weave" in and out of. It's not the easiest thing for the dog to learn - but it's certainly a joy to watch when the best, fastest dogs are flying through! 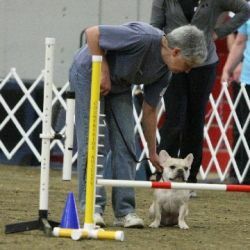 Teddy isn't my first agility dog - Dax was. She's fine, but retired now. Mostly because she hated competition. I'm not sure how she knew the difference between class, "fun matches" (practice trials), and actual competition, but she did. I learned a lot about having a "Plan B" in place at all times! A fun, rather inexpensive way to see if you and your dog would enjoy playing agility. 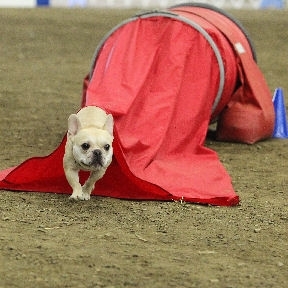 If agility looks like fun to you - be sure you keep in mind your own, and your dog's safety. Start low! The full-height A-Frame, which the dogs must climb, is taller than I am. Admittedly, I'm no giant, but I am five feet tall - and that's pretty steep. The Dog-Walk is four feet tall, and the SeeSaw, or Teeter-Board, tends to make a lot of noise. Many dogs aren't used to walking, let along running, on something that moves. 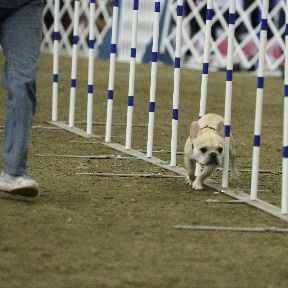 I've seen people plunge right in, rather than introducing agility obstacles carefully, and their dogs get frightened and learn to hate the big, noisy obstacles. If you have a dog that's fast, smart, active, and agile - try to find a class or instructor in your area. Observe first, see how the class is run. 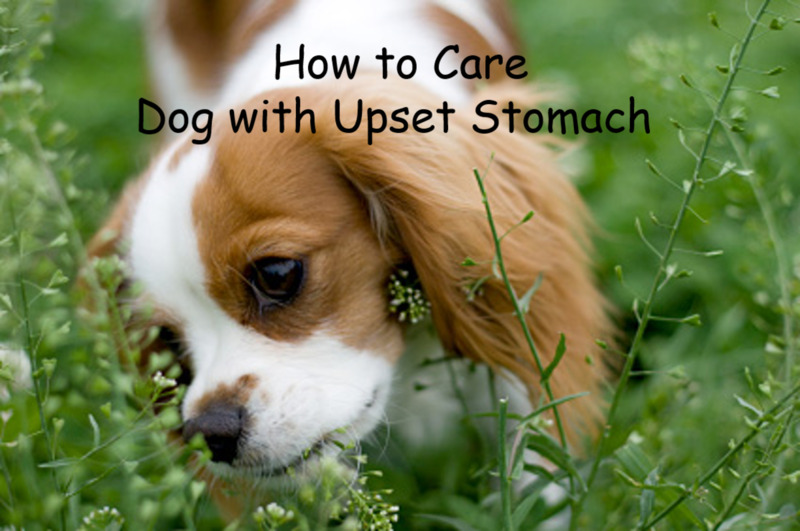 If it looks like something you and your dog would enjoy - sign up and give it a try. It may open up a whole new world of fun for both of you. The closed tunnel - or "chute." Do you play agility with your dog? You dog looks like he's having so much fun. Great lens. Just stopped by because of your 'bar-hopping' title. I'd love to get my dog in agility as she is a natural runner, but she's also very very skittish around new things, especially if it makes a noise or moves. 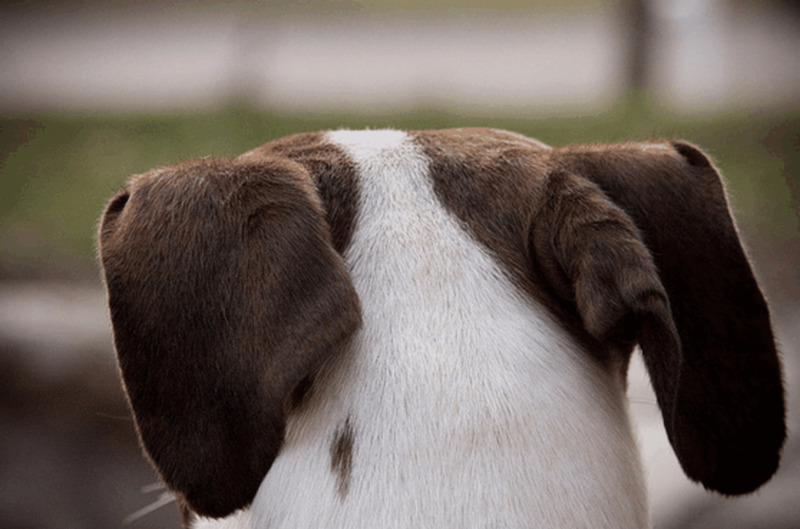 You say that you have to be careful with how you introduce the obstacles - do you know of anyone that has successfully trained a "skittish" dog to do agility? 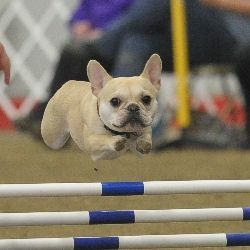 PS: Loved Teddy's agility debut video! It made me smile! love the photo of Teddy flying high... what a fab activity!